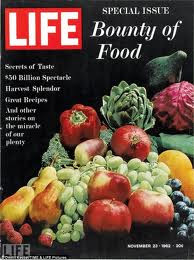 "Food, perhaps alone among the riches of the earth, pleases all the senses of man," exuded the November 22, 1962 Life magazine. "Taste, of course, and smell. Vision? Behold it. Sound? Who has not placed a crisp vegetable on a pine board and heard the delicious noise of a keen knife cleaving through leaf and stalk? And touch? In this picture, it is texture most of all that delights: the rough and smooth, soft and firm, all invite the hand." "Could odor arise from these cold pages, how sweetly would they fill the air! The tang of apple, pear and such small fruit would drift above the smell of sun-warm strawberries, blending with the rich scent of melons." Distinguished British historian and Oxford professor Arnold J. Toynbee (1889 - 1975) believed that the health of a nation is only as good as the health of its diet, and that a downward spiral in the quality of a nation's diet foretold a nation's cultural and political death spiral. Toynbee illustrated his hypothesis with innumerable examples of fallen countries throughout civilization and pre-civilization. 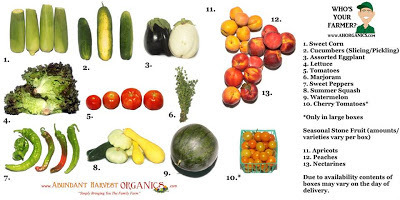 In 1962, the United States was a robust and growing nation that enjoyed a healthy, balanced diet, much of it still grown by local family farmers (although food-chain industrialization and commercial pesticide use had begun in earnest). Observed Life editors, "After the lush variety of the modern American diet, as shown in this issue of Life, it is rather unsettling to see how the rest of mankind eats." The results have been truly disastrous for U.S. public health. Many historians today detect Toynbee's cogent hypothesis to be sadly observable in 21st century America. Today, "it is rather unsettling" to see how America eats. It doesn't have to be this way, friends. We can return to healthy, deeply delicious diets. 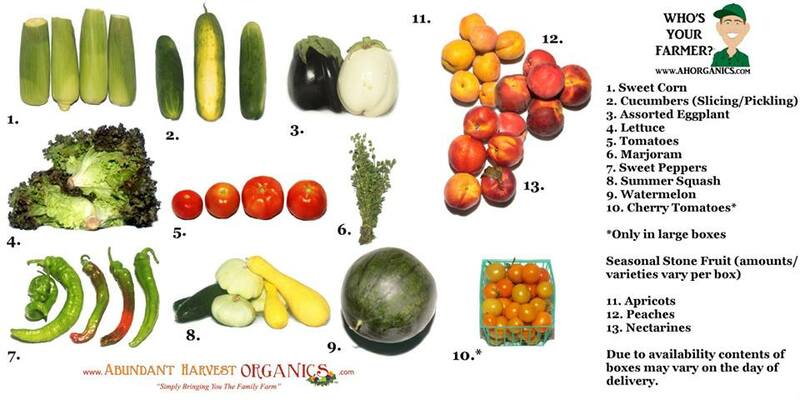 And the U.S. can easily return to being the world's envy with "the miracle of our plenty" grown by American farmers. My carton could have graced the cover of Life's 1962 "Bounty of Food" issue. In 2013, the United States is not nearly the robust and growing nation it was in 1962, nor does it universally enjoy either a healthy, balanced diet or even passably acceptable public health. According to Professor Toynbee's theories, we could start to return our great country to its former glory and world preeminence by first cleaning up our own lives and ways. That starts with each of us taking responsibility for our own personal health, and our food choices. That starts with ignoring the false message of industrial fake-food corporations that fatty, sugary, and salty highly-processed foods are the stuff of the good life. They're not. They're the stuff of bad personal and public health, bad federal food policies, and quite possibly, the implosion of great cultures and nations.